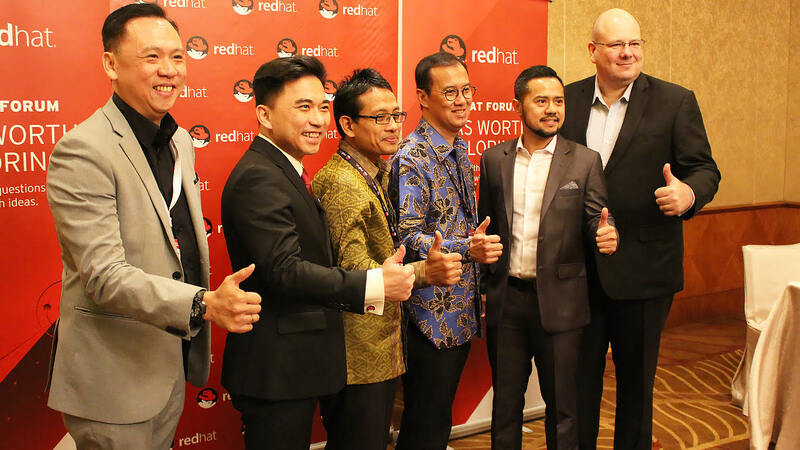 Jakarta, Indonesia (27/09/2018) - Multimatics , today announced that it has collaborated with Red Hat to create the Multimatics Red Hat Academy. Red Hat Academy is an open source, web-deployed and web-managed education program that is designed to provide turnkey curriculum materials to academic institutions to start and sustain an open source and Linux curriculum program. Red Hat Academy turns academic institutions into centers for enterprise-ready talent by outfitting them with Red Hat training. For more than a decade, Red Hat Academy has supplied high schools and institutions of higher education worldwide that have the required technology and support environments, with hands-on instruction, subscription of software license, free web based content, labs, performance-based testing, and instructor support. Program given in a very affordable fee both for students and lecturers. This is to help education institutions keep pace with the demands of industry. The curriculum involves cloud technologies built with input from Red Hat development, support, and field consulting teams. These universities will be acknowledged for signing the MOU with RHA during the Red Hat Forum, such as Telkom University, Universitas Multimedia Nusantara, Universitas International Batam, IBI Darmajaya, Universitas Tarumanagara, Sekolah Tinggi Teknologi Bandung, STMIK Pontianak, Sekolah Tinggi Sandi Negara, Universitas Kristen Maranatha, Universitas Nasional, Universitas Kristen Petra, Universitas Negeri Padang, STMIK Amikom Purwokerto, Universitas Sam Ratulangi, UPN Veteran Jakarta, SMK Negeri 6 Kota Tangerang, Institut Informatika Indonesia, Politeknik Negeri Manado, Universitas Lambung Mangkurat, Universitas Gunadarma, STMIK Mikroskil, Universitas Potensi Utama, Stikom Bali, STMIK Tasikmalaya, Universitas Bina Darma, STMIK Budi Darma, Kominfo, STIKOM Indonesia Bali, Universitas Indonesia, Universitas Amikom Yogyakarta, and more.